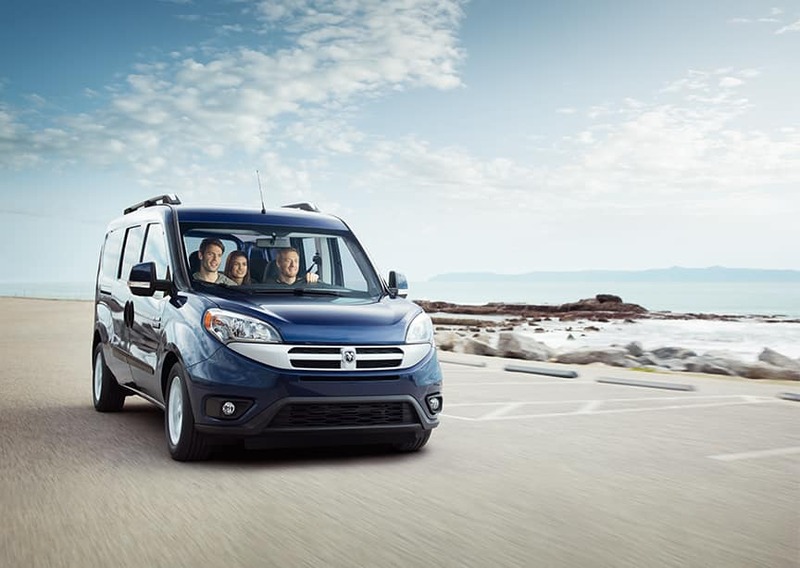 The ProMaster City comes into 2016 as a great multi-functional Class I van. It has a front-wheel drive and a 4-cylinder turbo-diesel choice. The ProMaster City is very easy to step into and has the highest ceiling in the class, thus resulting in more and more accessibility, interior room for hauling cargo and the ability for a mobile work-space. There are many, many jobs that the ProMaster City is good at doing. Things that come to mind are: hauling the band and equipment from one gig to the next, hauling tools of a professional tradesman or hauling luggage and people from the airport to the hotel or rental parking. The Ram ProMaster City van is designed and engineered to tackle big jobs with a best-in-class cargo area, payload capacity and standard highway fuel economy. Many options and possibilities exist for this great vehicle. Things like side window abilities, chrome grille options and additional on board batteries suggest other uses for the vehicle such as food trucks and luxury transport vehicles. This design has taken greatly from input of previous customers as well as engineering data to create a van that works well for so many different people and industries.The ProMaster's body construction, combined with the 3.0-liter diesel, helps it claim several best-in-class accolades which include: fuel economy, cargo capacity, turning radius and payload. The amazing 2.4-liter "Tigershark" 4-cylinder engine and 9-speed automatic transmission help to power and operate the ProMaster City. It is this combination that helps the vehicle achieve best-in-class fuel economy and horsepower. Fuel economy checks in at 21 miles per gallon in city driving and 29 miles per gallon when driving on the highway. It is probably true that no utility van is going to be luxurious inside, but the 2016 ProMaster City comes pretty darn close. There is premium upholstery and the seats are very comfortable. An important feature for deliveries the ProMaster City has is an overhead shelf which is located above the windshield and can be used for stowing loose papers and small objects. The wagon and cargo models get different front-end styling. Cargo-oriented Tradesman models can choose between the same, rear windows only, or no rear or side windows at all. On all ProMaster City models, the rear doors are split 60/40 and open 180 degrees to reveal a remarkably low step-in and load floor. The van has 16-inch wheels with disc brakes on the front and drums on the rear. Another great highlight is Bluetooth technology being utilized along with thicker carpet. These types of additions help the ProMaster City feel a bit warmer and welcoming. Also coming standard are things like air conditioning, a tilt/telescoping steering wheel, power door locks, key-less remote entry, cargo area tie-down loops and lots more. 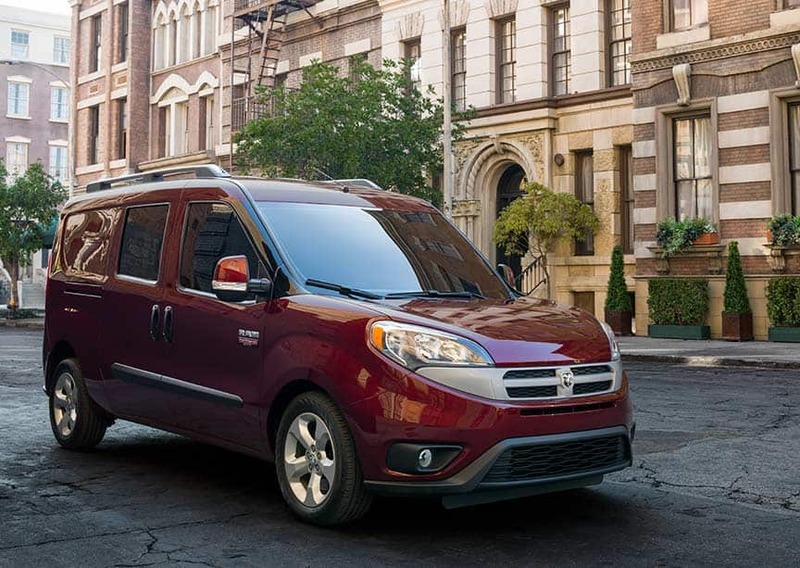 What are some of the exterior features on the RAM ProMaster City? On all ProMaster City models, the rear doors are split 60/40 and open 180 degrees to reveal a remarkably low step-in and load floor. The van has 16-inch wheels with disc brakes on the front and drums on the rear. Can you help me find financing for my 2016 RAM ProMaster City? The ProMaster City is basically equipped with safety and security features like a passenger vehicle is. All of the vans come with front airbags, a driver's inflatable knee bolster, front side-curtain airbags, front and rear curtain airbags, and stability control. 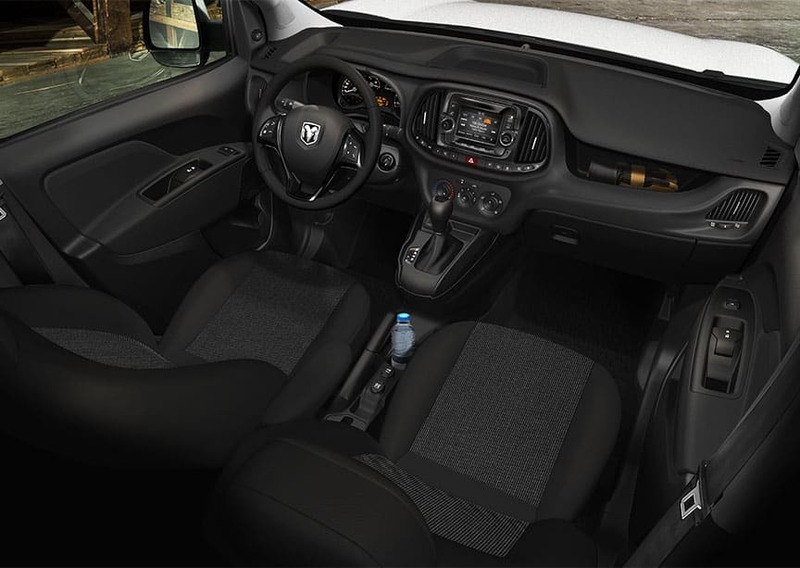 There is also a driver's knee airbag, a rear-view camera system and parking sensors. Stop in today or give the dealership a call to schedule a test drive.